1. the unjust or prejudicial treatment of different categories of people or things. Prepping for motherhood can be absolutely terrifying. To co-sleep, or not to co-sleep. Wide-mouthed bottles, or traditional… oh wait, should I plan to use a bottle at all? 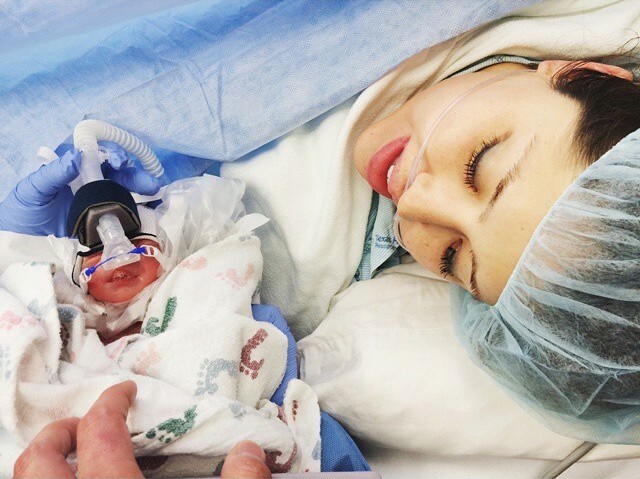 As a first-time momma, I felt absolutely overwhelmed through pregnancy. I was terrified. Petrified. I was bombarded with all kinds of statistics, opinions, articles, and research on the daily. Nursing, immunizing, birthing, professional care… all the options and arguments circled my thoughts and closed in on my emotions. It was an overwhelming, constant feeling of, “I should be doing more.” And if I’m perfectly honest, I still fight it today. So, let me just start out by saying that I’m not arguing for or on behalf of a particular parenting topic. But instead, my heart is to hopefully broaden our perspectives and face the real issues. We live in a society that lives and breathes to replace one idol with another. If it isn’t fame, it’s fortune, or success, or goal achievement, or superficiality, or a certain relationship, or self-improvement, or a particular job position. We’ve become convinced that we are sovereign over our own lives. And while we are indeed responsible for our actions, we’ve lost the freedom that comes with entrusting our Creator with our lives and worshiping Him alone. We’re bombarded with and constantly reminded of what we don’t have, what we do have, or why we aren’t good enough. We obsess with what we believe in, or the choices we make; to the point that they themselves become a part of our identity. With one year of motherhood under my belt, I can confidently say that the same struggles come with motherhood. When we have a good mommy day; we’re great. And when we miss the mark or it’s challenging; we’re miserable. Just like everything else, motherhood can quickly become an idol. And our preferences, routines and parenting styles can easily become a part of our identity. We allow them to define us and take it personally when people don’t agree with our styles or share similar perspectives. We get bent out of shape over feeding techniques, oils, health standards, professional advice, and physician care. We allow the real enemy to come between us. And before we know it, it’s high school all over again, full of mean-girl cliques, “she said’s”, peer pressure, and “did you see what she did’s.” It’s silliness. It’s absolutely ridiculous. And yet, I fight it, and have found myself guilty of it many times. How did we get here? Where did it start? The older I get, the more I recognize my desperate need for Christ. Comparison, gossip, and judgement are not new tricks. The enemy’s just really good at disguising them. And now more than ever (even more than in high school.) I need Christ. I need Christ to lead my husband and me as we seek out wisdom. I need Christ when it comes to bridling my tongue against gossip. I need Christ when it comes to guarding my heart against judgement. I need Christ when it comes to loving my family well. I need Christ to silence the voices of insecurity, pride, and selfishness. I need Christ when it comes to encouraging my sisters and fellow mommies. I need Christ more than motherhood. More than my husband. More than my daughter. More than anything. I need Christ. He alone is worthy of my worship. He alone must be my source. While I was pregnant, I fought so many feelings of insecurity and judgement when it came to our original plan. We chose a hospital, high risk doctor, and epidural, for Finnley Haven’s birth. I was told all about articles, horror-stories, and statistics which had underlying undertones of fear. Well-meaning people whom I love and adore lovingly tried to me that we weren’t choosing what was best for our daughter. I fought feelings of being judged, bullied, and almost discriminated against. I say all this to say, that I understand this is the plan the Lord led us to. It was His sovereign hand on our lives. He led us, and He kept us. So, I mustn’t judge anyone if they’re being led in a different way than myself. Because who am I to know what the Lord has planned for their lives? There are risks to all kinds of births and parenting styles. Fear shouldn’t ever be the deciding factor. There is no perfect, fail-proof way to have a baby. Which is why we must put our trust in Christ alone as we seek out wisdom. If you seek the Lord He will lead you. Entrust the outcome to Christ. Trust His best for your family– through the boatloads of articles, opinions, statistics, and options. He has a plan, and He’s not up there freaking out. He is with us. I love the wealth of information that’s out there, but at a certain point I think the best thing we can do to love our mama friends well is to pray for them, hold our tongues and wait for them to ask us for advice, and be okay if they don’t. I want to trust that God knows my friends. He will lead my friends in the best path for their children. Just like there’s a reason He made Johnny and I Finnley’s parents; there’s a reason why He chose my friends to parent their littles. Can we as mamas encourage and empower each other instead of sizing each other up and trying to convince each other of our own personal convictions when it comes to birthing/immunizing/parenting? Can we be a safe place, and extend grace to others when they struggle? Can we lean on Christ while fighting against pride and gossip amongst us? Can we point others to Christ, instead of some article? Our mission as moms should be to make Christ our foundation, as we seek Him for wisdom and entrust our children to Him. He is good. He is for us. He is with us. There’s no easy or perfect way to parent, so let’s do everything in our power to support and encourage our fellow mamacitas. Let’s build each other up in Christ and stop discriminating mommies. Let’s love each other deeply, and make sharing the bond of motherhood a beautiful thing. It feels like just yesterday that our little miracle baby was introduced to the world. Today, we celebrate a very Happy Four Months to our beautiful baby girl, Finnley Haven. At one month gestation, our little 29 week preemie now weighs five times her birth weight at a whopping ten pounds! As of last week, she’s officially out of her newborn clothes. She’s grown from fourteen inches to twenty-one. And we feel like we have less of a baby and more of a toddler. Her eyes have miraculously developed 100% normally. After five excruciating eye exams, yesterday, we received the incredible news that there is no trace of blindness and she won’t be needing any surgery! Our God reigns, we are just so thankful! In other news… FinnFinn loves staring at the ceiling fan, being passed around by family like a hot potato, snuggling with daddy, bubble baths, and practicing Spanish with mommy. We’re just so grateful for her life and for all of your continued love, prayers and support! Thank you! I think one of the most common fears amongst mommas is the very common occurrence of diaper rashes. While we were in the NICU with Finnley, the nurses shared their age-old secret that helps fight and prevent diaper rashes. Thanks to this wonderful little tip, our little four-month old has never had a diaper rash. Praise God for tried-and-true tips and happy babies! 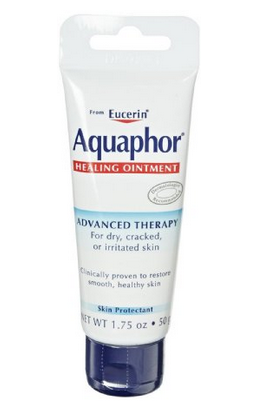 THE SECRET: It’s as simple as using AQUAPHOR by Eucerin ($6/ea). OTHER USES: Great to help heal eczema, bug bites, dry/cracked skin (especially due to a runny nose), baby acne, and 100% safe to use on your little one! Posted in LITTLES, Aside format and tagged Baby, barrier, Bumbum, cheap, cure, Diaper, Diaper Rash, diapers, finnley haven, heal, honest baby, honest company, honest diapers, honest family, honest mom, keep safe, little one, mommy, newborn, newborn mom, nicu, nicu grad, nicu mom, preemie, preemie mom, premature, prevent, preventing, prevention, Protect, Rachel Allish Zamora, rachel allish zamora cavanaugh, safe, secret, the honest co, tip, tricks on February 21, 2015 by Rachel Allish Zamora Cavanaugh.